Tree of life 12 cm hand-made with stainless steel wire, gemstones variety to choose from, Terra cotta pot and sequined decorative stones. You can choose the stones to relieve many either physical or psychological disease. Choose to increase the efficiency of positive energy or to stop negative energies. To choose the stones according to your zodiac sign. 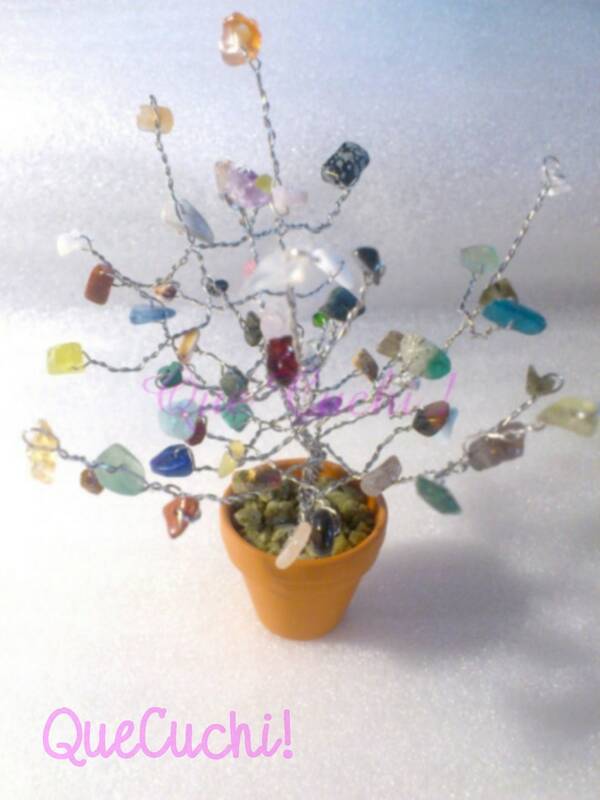 Why ask me for information or tell me what stones you would like the tree of life in "Contact the creator". This is the tree at the foot of which Buddha rested and regenerated. This is the symbol of purity and balance to the East. Nowadays, we call, small tree (bonsais) on natural stones, compared to the energetic properties of minerals.